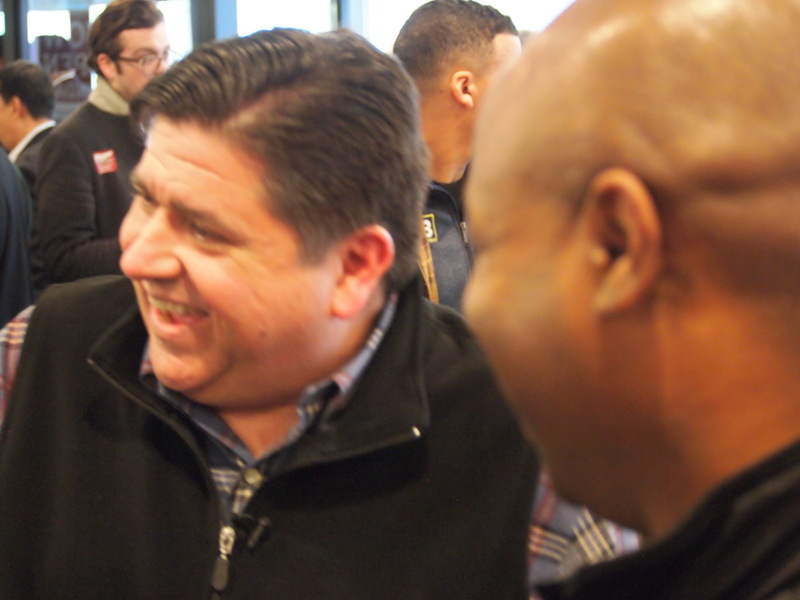 Despite Democrats having control over both chambers of the Illinois Legislature and now the governor’s office, Gov.-elect J.B. Pritzker said he plans to work with Republicans and represent everyone in the state. 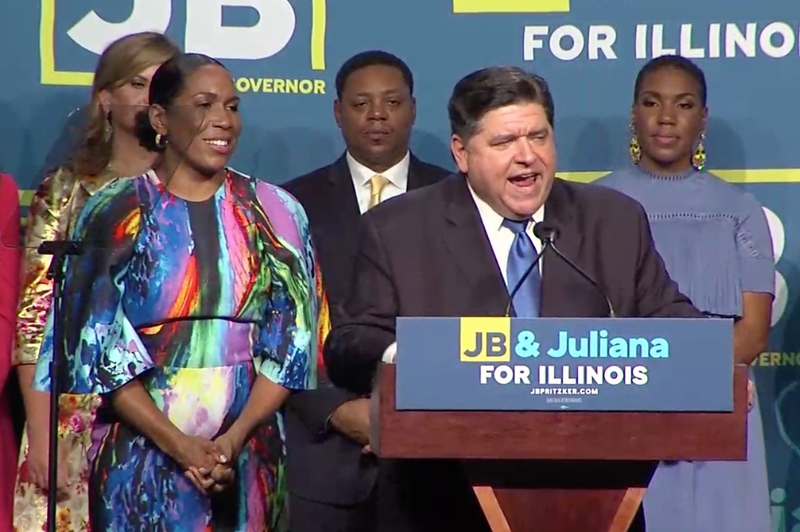 “My intention is to be the governor of all the people of Illinois,” Pritzker said during a Nov. 7 stop with Lt. Gov.-elect Juliana Stratton at a Chicago Transit Authority station to thank voters for their support the day after his election victory. The governor-elect said that during his victory celebration he made sure to reach out to state Senate Minority Leader Bill Brady of Bloomington and state House Minority Leader Jim Durkin of Western Springs to make sure they knew that they would have his ear. “I assured them that we’re all going to work together on the priorities that are really important to people all across our state,” Pritzker said. He said he intends to reach out to every Republican leader in the state, looking to foster a spirit of cooperation. The governor-elect said he and Stratton are ready to work with all elected state officials, they are even more pumped about tackling the problems facing residents. 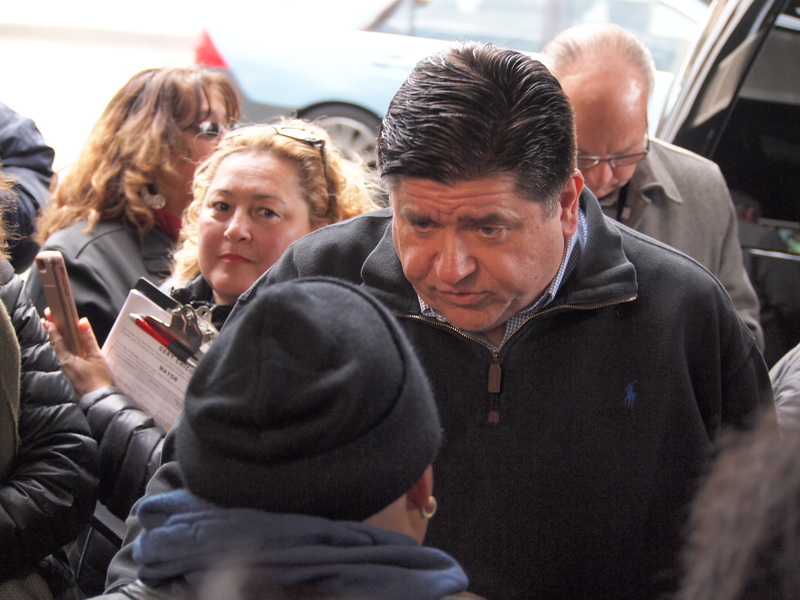 “We’re excited to get working for the people of Illinois,” Pritzker said. He said two of his first orders of business will be to ensure that the state has a balanced budget and ensure the things that matter in the state are funded. Pritzker’s Transition Committee will be headed by his running mate, state Sen. Juliana Stratton of Chicago. Other members of the transition committee include former Republican Gov. Jim Edgar, who is now part of the University of Illinois’ Institute of Government and Public Affairs; Michael Carrigan, president of the Illinois AFL-CIO labor organization; and Marty Nesbitt, a former executive of Pritzker Realty Group, national treasurer of President Barack Obama’s 2008 and 2012 presidential campaigns, and chairman of the Barack Obama Foundation. Transition Committee staff include: Peoria native Nikki Budzinski, who served as senior adviser to the J.B. Pritzker for Governor campaign and led Pritzker’s exploratory effort for governor; former state Comptroller Dan Hynes, who is a member of the Democratic National Committee; state Rep. Christian Mitchell (D-Chicago); and Jesse Ruiz, a partner with the Drinker Biddle law firm and president of the Chicago Park Board. On a personal note, the governor-elect said it will, at times, be a family divide — with him spending a majority of his time in Springfield and his family spending a majority of their time in Chicago. Pritzker earned 55 percent of the vote statewide in securing the state’s top political post on Nov. 6. He squashed Gov. Bruce Rauner in Cook County, netting 71 percent of the vote there. The governor-elect also won the rest of the Chicago collar counties, although he didn’t get more than 50 percent of the vote in any of them. The closest that Pritzker got to that mark was 49.8 percent of the vote in Will County. The only counties in the Chronicle circulation area that Pritzker carried, besides the collar counties, were Peoria County, where he got 48 percent of the vote, and St. Clair, where he got 54 percent of the vote. Secretary of State Jesse White, who remains as popular as ever, netting 68 percent of the vote. Comptroller Susana Mendoza, who earned 60 percent of the vote. Treasurer Michael Frerichs, who received a return trip to office with 57 percent of the vote. Kwame Raoul, who earned the right to replace the retiring Illinois attorney general, Lisa Madigan, with 54 percent of the vote.